After a damp, cool week, today dawned bright and clear and dry. A perfect weekend to be outside, soaking in the brilliant colors of autumn. In the second week of my series on Japanese tea culture, today’s tea is a Japanese green tea called Fukamushi Cha, meaning “deep steamed tea”. 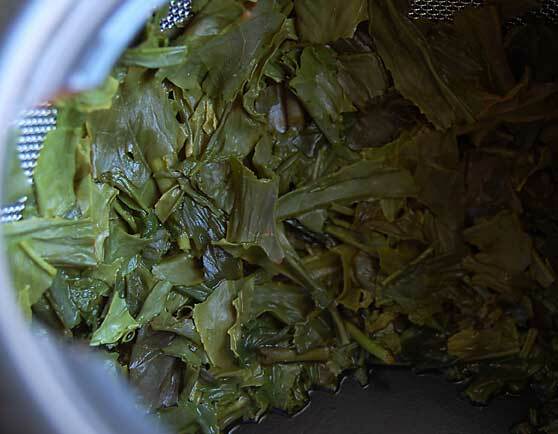 Almost all Japanese green tea is steamed for 30-45 seconds in the first step of processing. This halts oxidation of the leaf and sets the distinctive, brilliant green color of the Japanese green tea leaf as well as giving it its pronounced vegetal flavor. 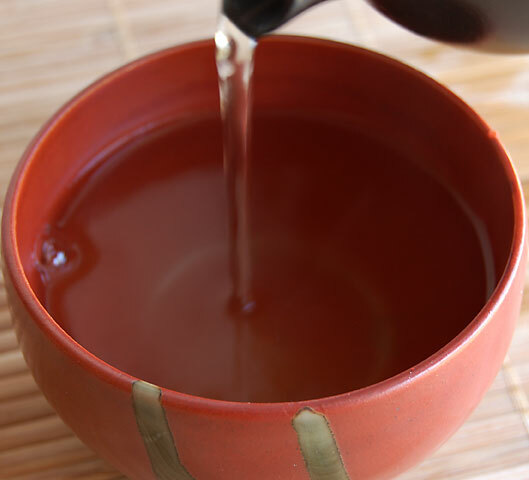 Fukamushi Cha undergoes a deeper, or longer steaming time. Just look at that gorgeous green leaf. Tea drinking in Japan can be traced back to the 8th century when the Emperor Kammu dispatched several diplomatic missions to China to learn about and better understand their culture. 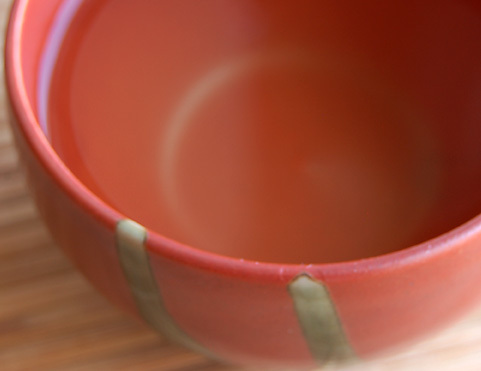 As in China, tea drinking was only practiced in Japan among monks, the nobility and the imperial court for many years. 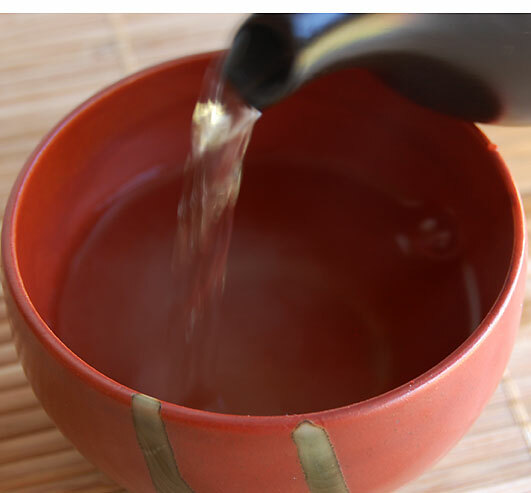 It wasn’t until the 12th century when Myoan Esai, a Japanese Buddhist priest, encouraged all Japanese citizens to drink tea for their health, writing the first Japanese book on tea entitled Kissa Yojoki which translates to “Tea Drinking Good for the Health”. I steeped my Fukamushi Cha for 3 minutes in a lower temperature water, 160 degrees F. The aroma is feather light and vegetal. The pale spring-green tea liquor is very sweet with a light pungency which refreshes my palate. A pronounced vegetal flavor embraces the sweetness. Over time, tea became elevated to a fine art in Japan, culminating with the development of the Japanese tea ceremony known as Chanoyu. I had the privilege of attending a tea ceremony 3 years ago and wrote about it here. This weekend will be a fall cleaning, staying at home kind of weekend for me. Perhaps I’ll even find some time to spend in my studio! 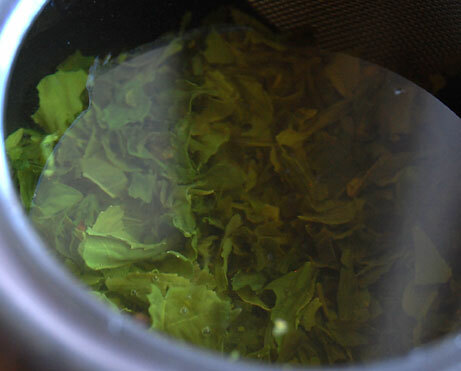 Please join me next week when I will be sharing my review of a Japanese gyokuro tea. 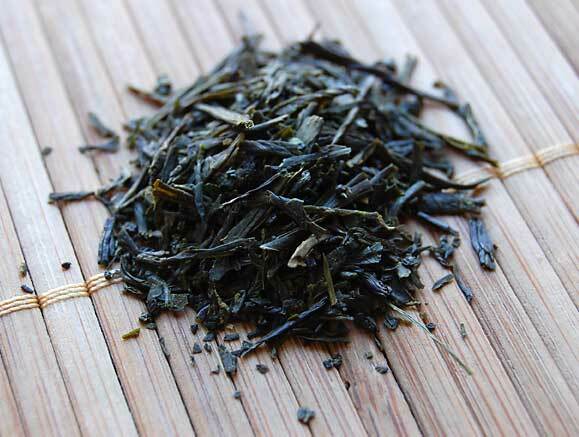 This entry was posted in Green Tea, Japanese tea, Photography, Teaware and tagged Fukamushi Cha, Japanese green tea. Enjoy this fall weekend, Karen… no stress.. ahhhh. Thanks Judy, you have a wonderful, stress-free weekend, too!